Great brick ranch home that has been remodeled with a lot to offer, new floors, new carpet, new kitchen appliances, new baths, new lighting, new paint,nothing to do but move in and make it your home! Enjoy the 4 bedrooms, one full & one 3/4 baths, 2 family living areas, fireplace, beautiful wood floors, stainless steel appliances, washer, dryer, utility room with sink, updated windows, sun room, utility shed & oversized 2 car garage. 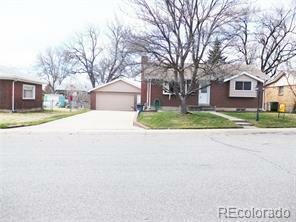 This home is close to shopping, restaurants, recreation center and main highway. A home at an affordable price so come see it today before it is gone.